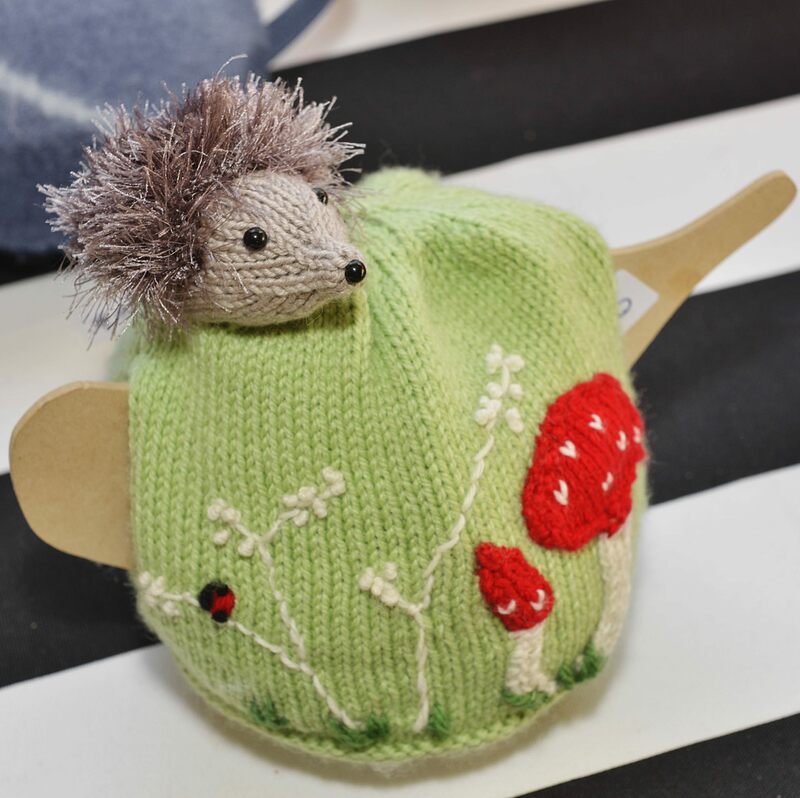 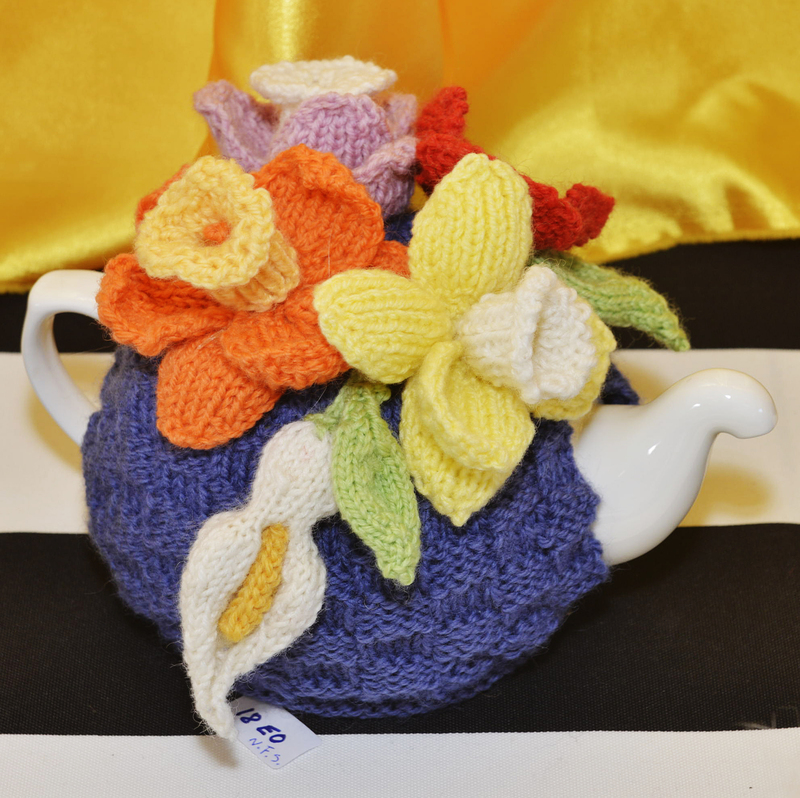 Winner – Heather G. Brimblecomb for A Leaf Tea Cosy. 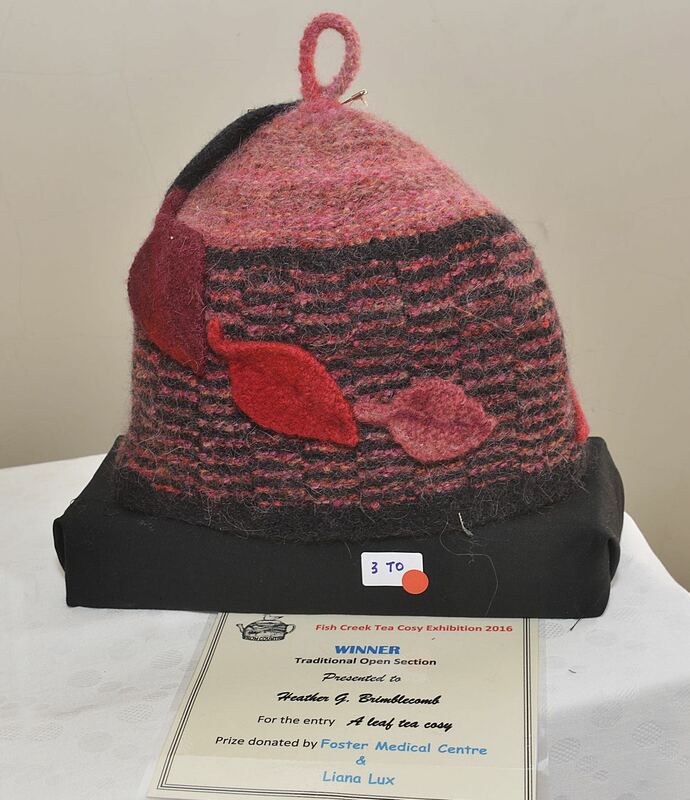 Winner – Sandra Hatzis for Galway Bay Bows. 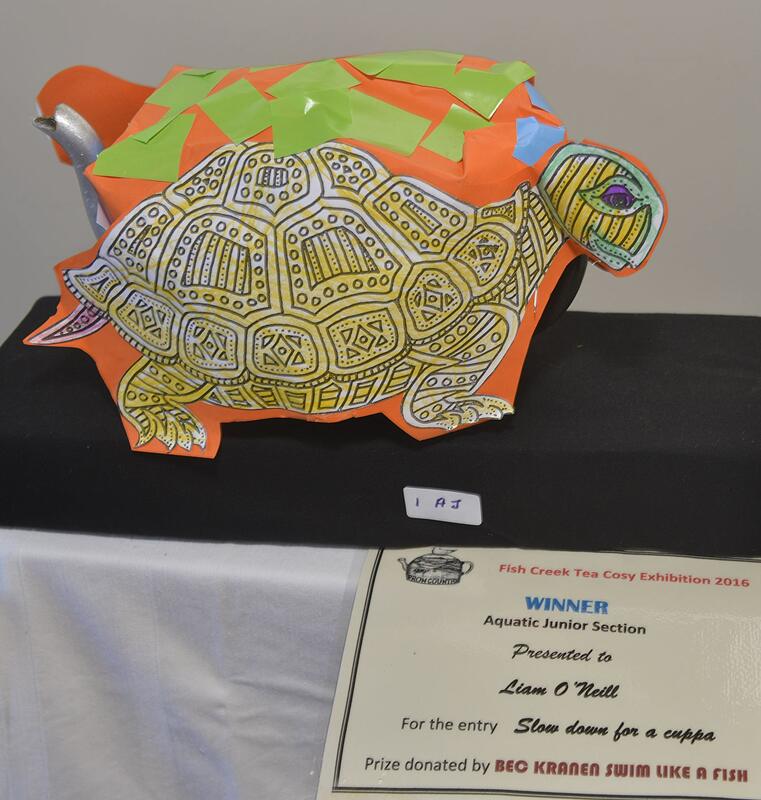 Winner – Charlotte Palmer for Fantasy Door. 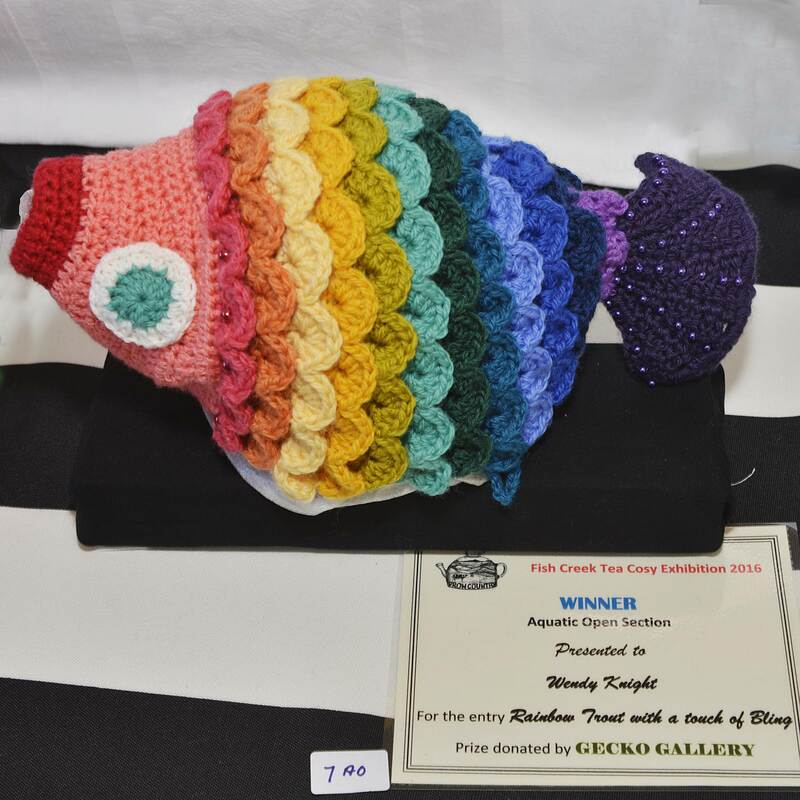 Winner – Wendy Knight for Rainbow Trout with a Touch of Bling. 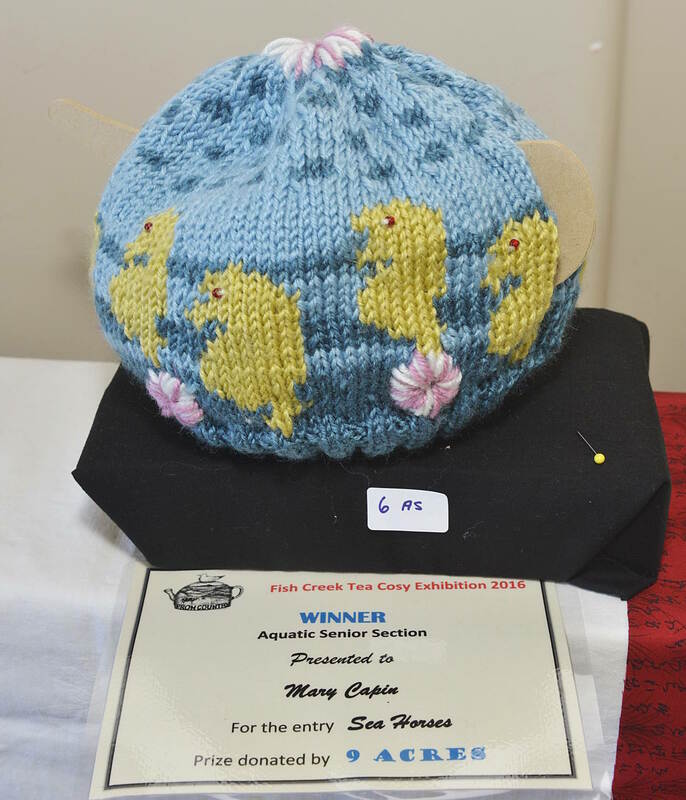 Winner – Mary Capin for Sea Horses. 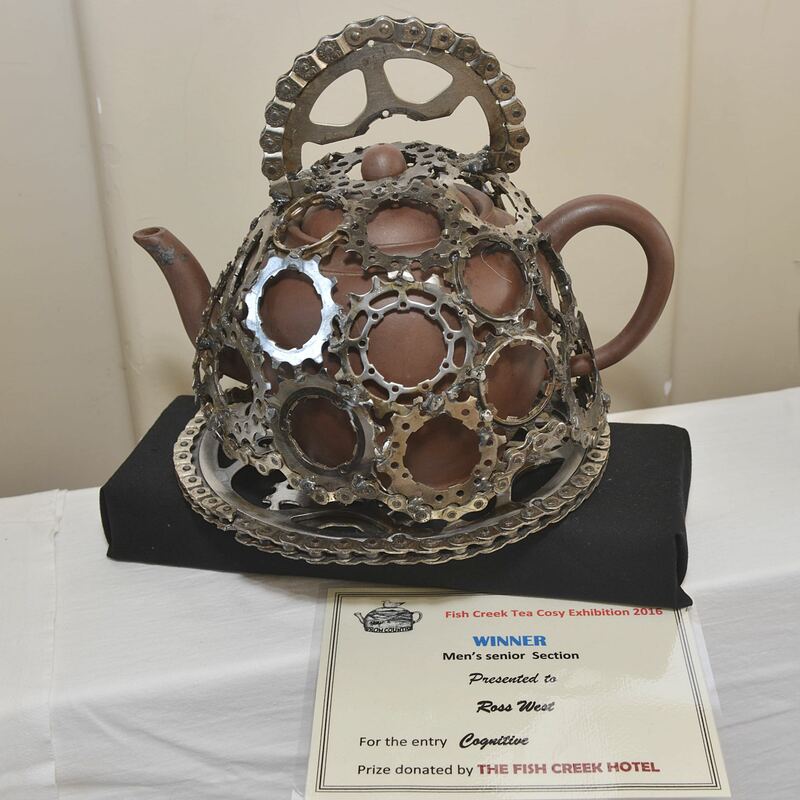 Winner – Liam O’Neill for Slow Down for a Cuppa. 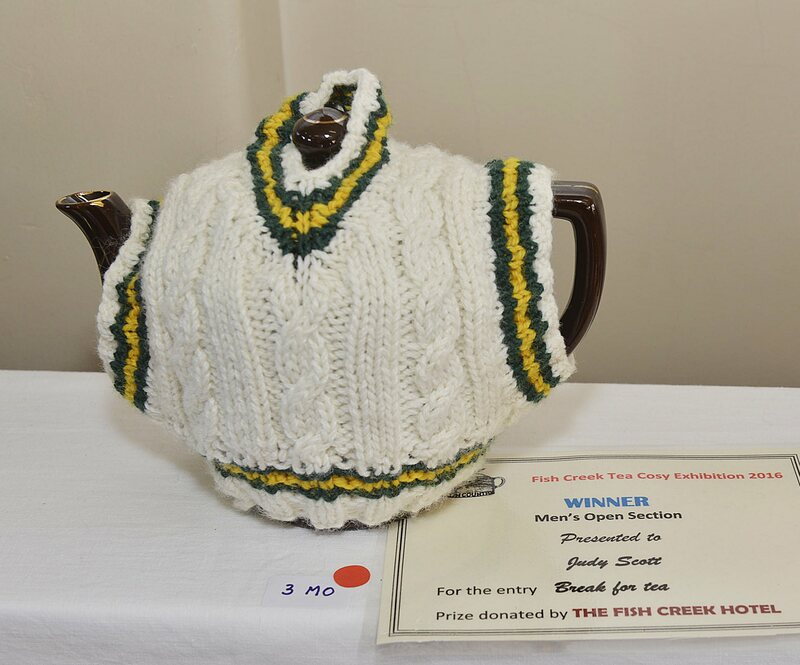 Winner – Judy Scott for Break for Tea. 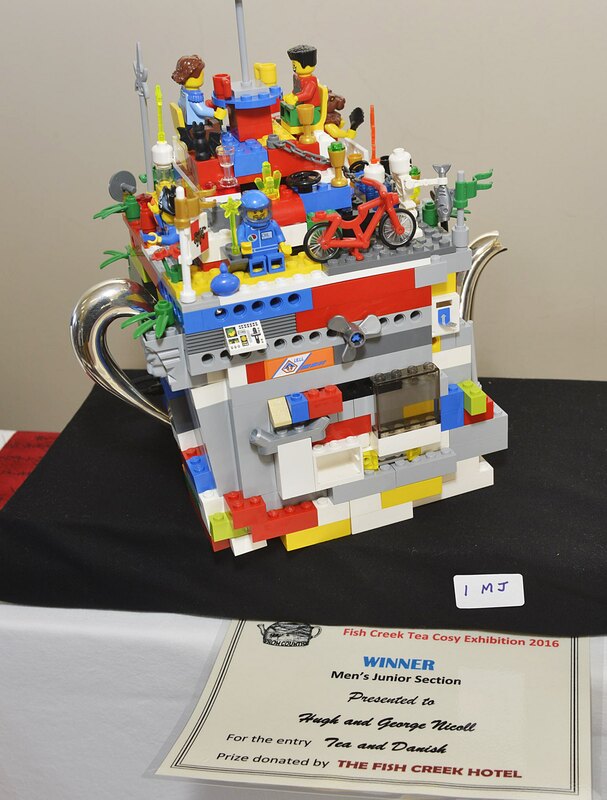 Winner – Ross West for Cognitive. 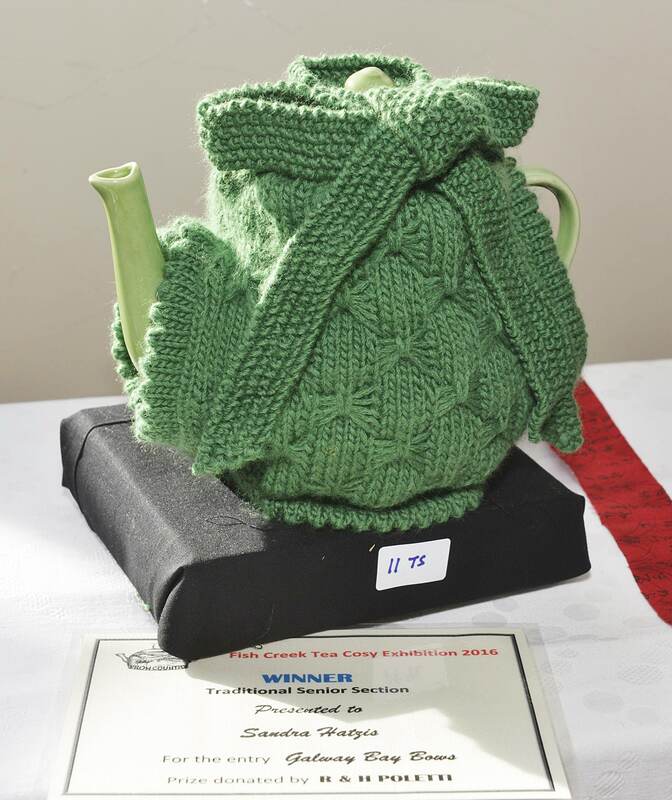 Winner – Hugh and George Nicoll for Tea and Danish. 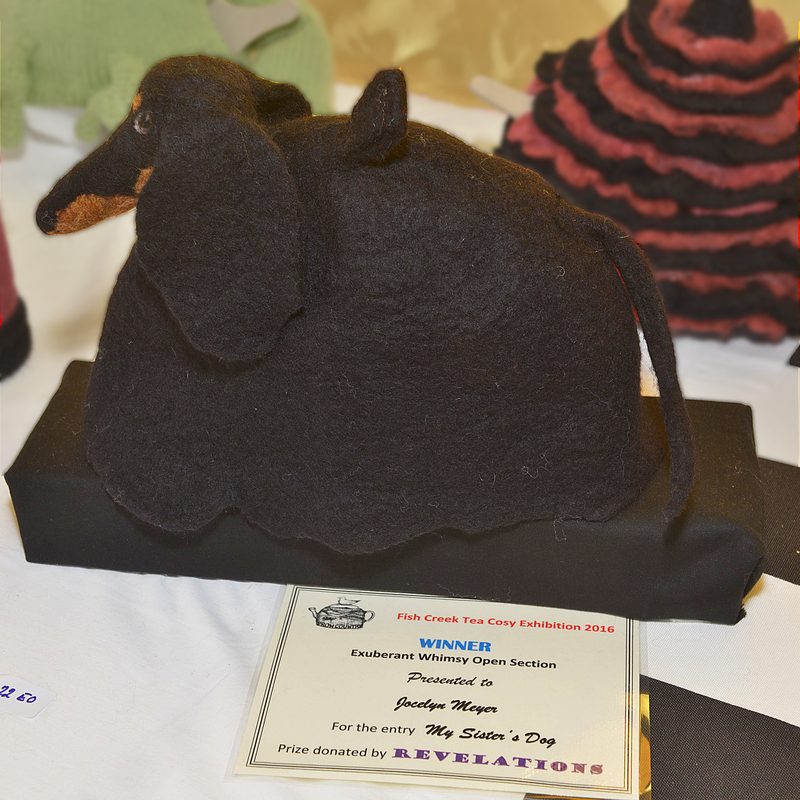 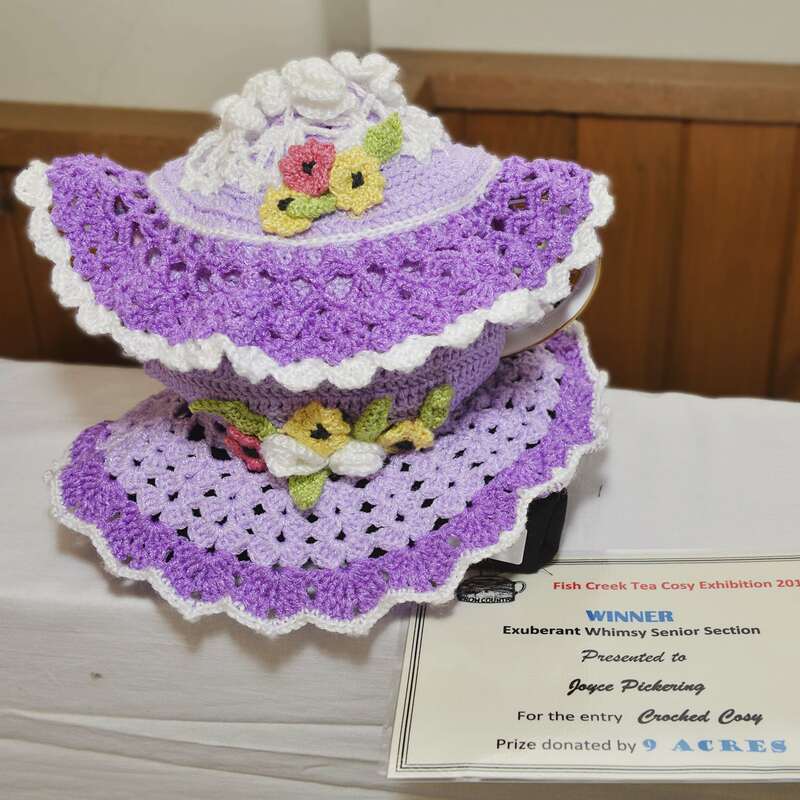 Winner – Jocelyn Meyer for My Sister’s Dog. 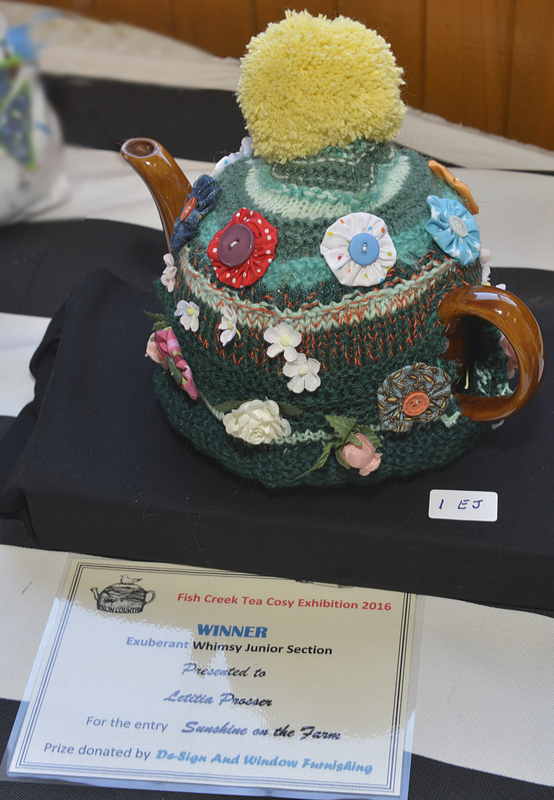 Winner – Joyce Pickering for Croched Cosy. 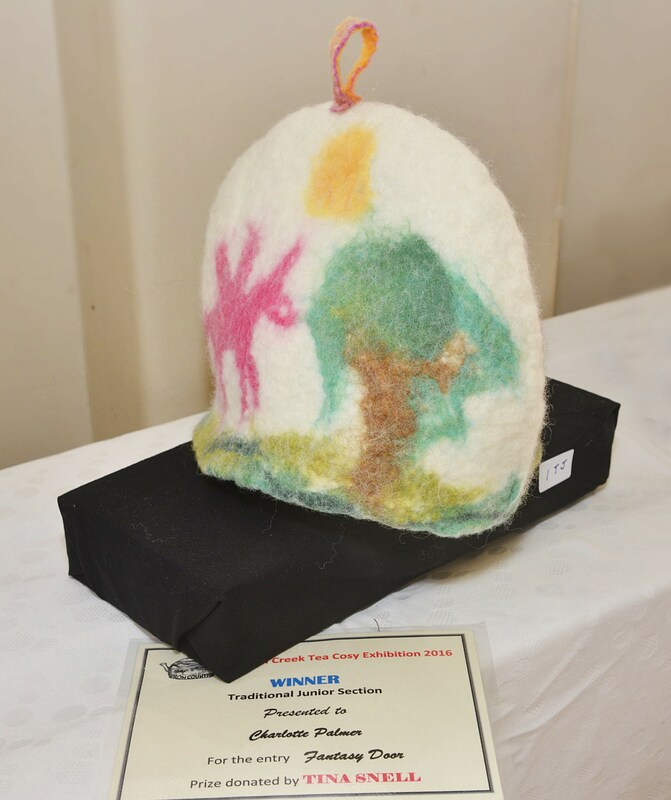 Winner – Letitia Prosser for Sunshine on the Farm. 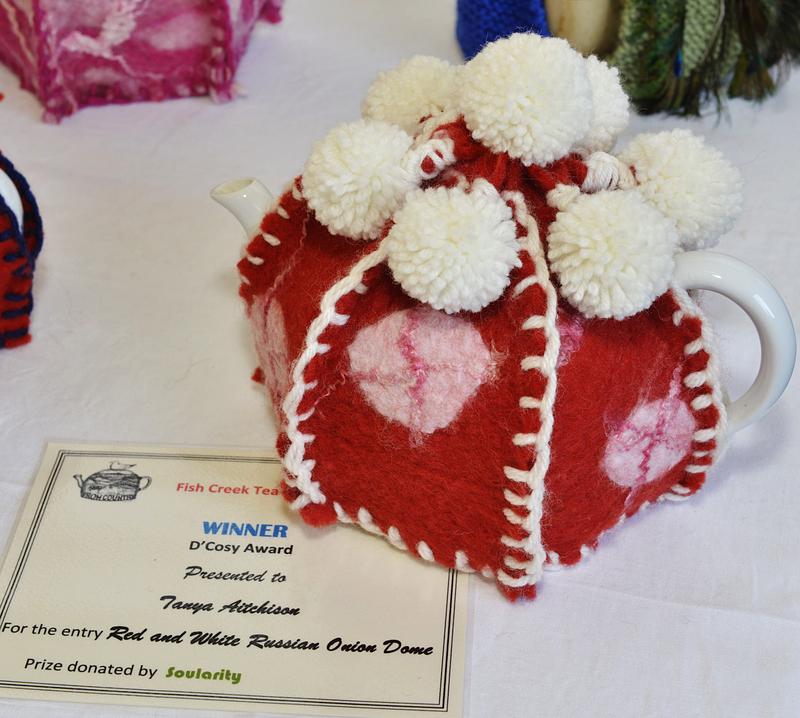 Winner – Tanya Aitchison for Red and White Russian Onion Dome. 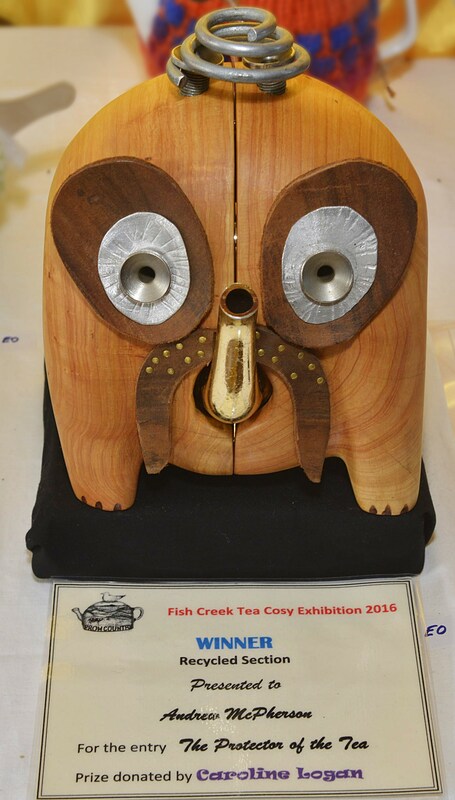 Winner – Andrew McPherson for The Protector of the Tea. 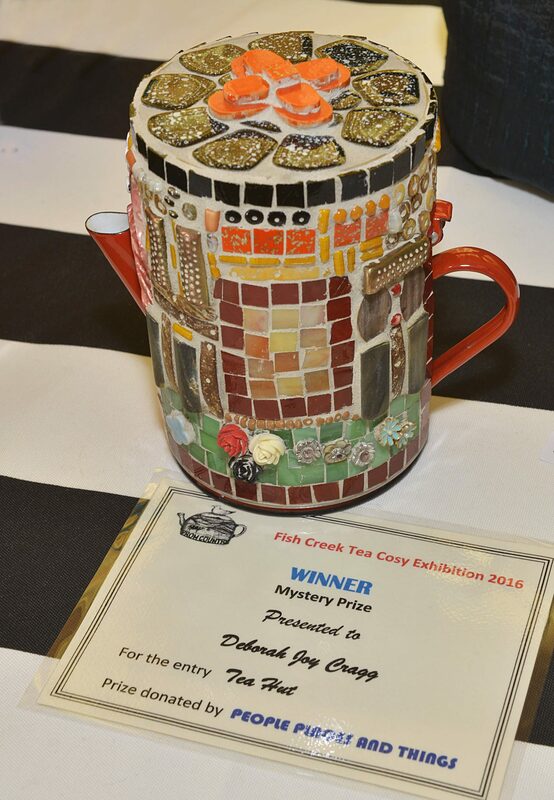 Winner – Deborah Joy Cragg for Tea Hut.